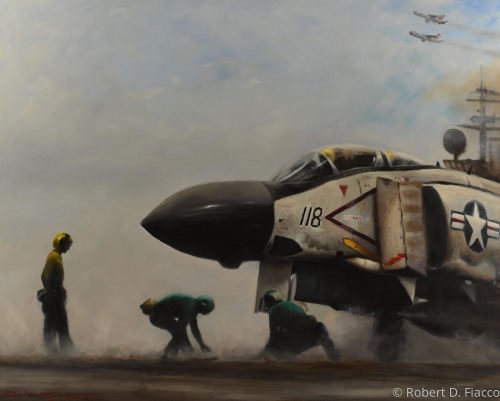 Flight deck crew readies F-4 Phantom for launch. 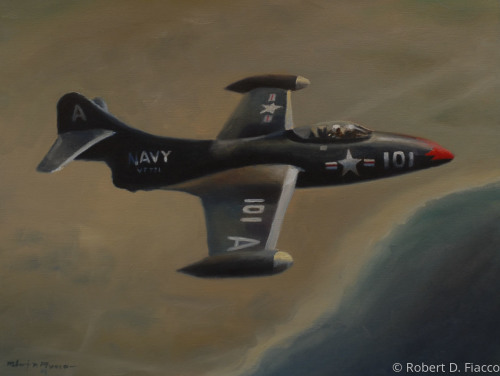 Permanent collection of the Naval Air Museum, Patuxent River, MD. 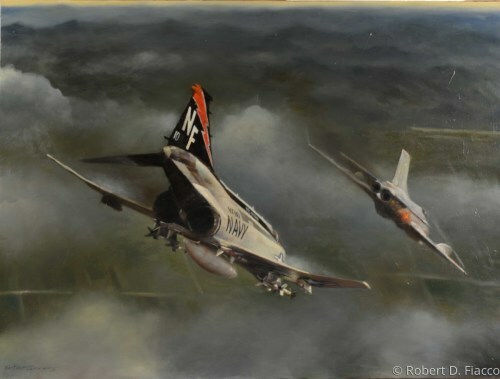 F-4E Phantom closes the USS Forestal during operations in 1975. 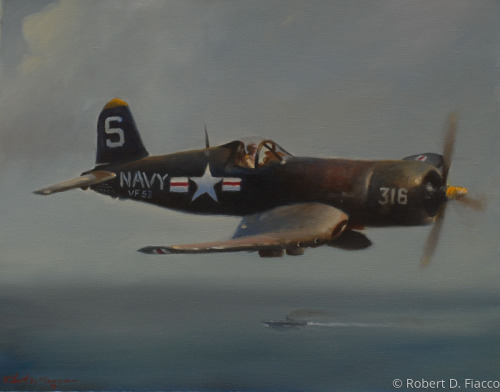 Permanent collection of Naval Air Museum, Patuxent River, MD. 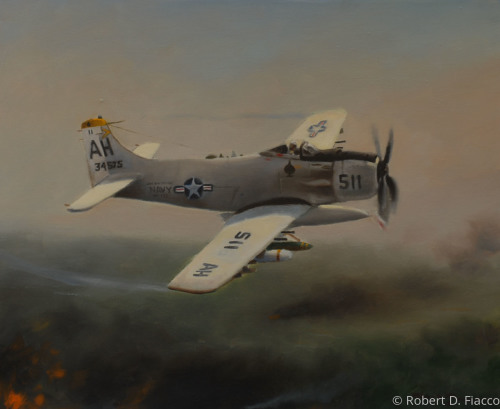 A-1J Skyraider flying close support mission over North Vietnam. 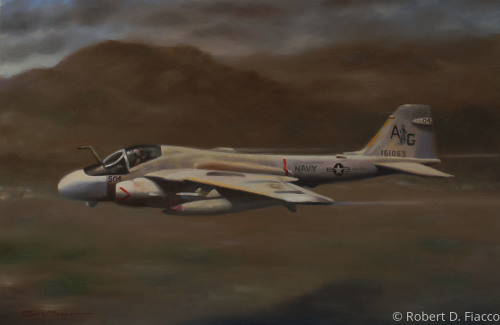 A-6E Intruder flying low level. 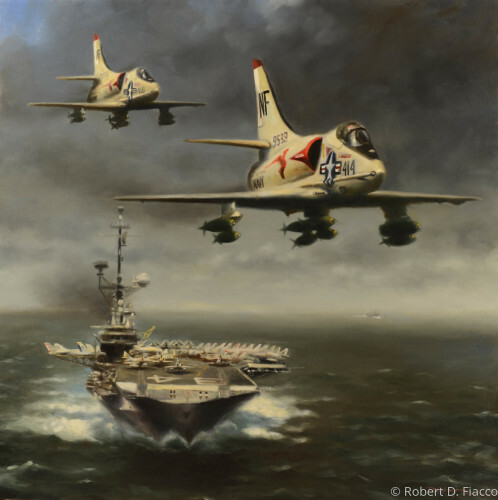 A-4 Skyhawk flyover USS Oriskany on way to strike mission in North Vietnam. 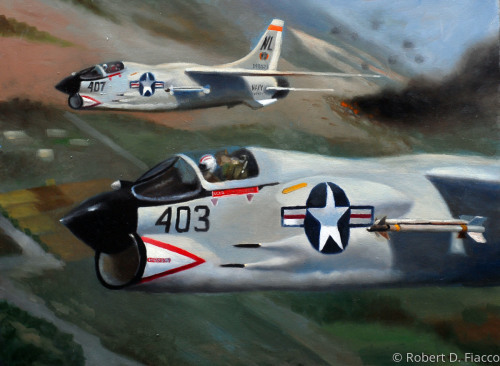 Engagement by LT. Bart Bartholomay over North Vietnam in which he shot down a MIG-19. 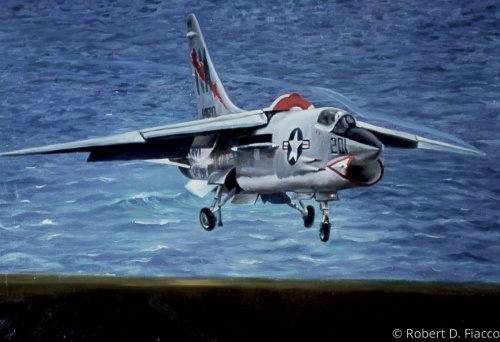 Painting is now part of the permanent collection, USS Midway Museum in San Diego, CA. 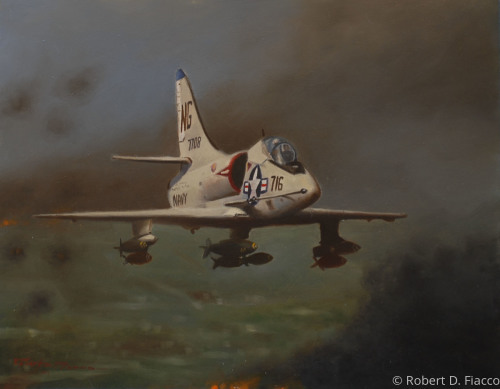 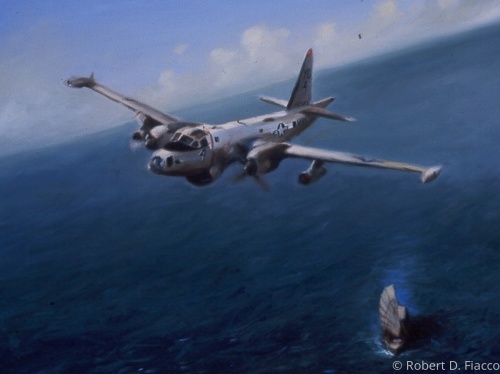 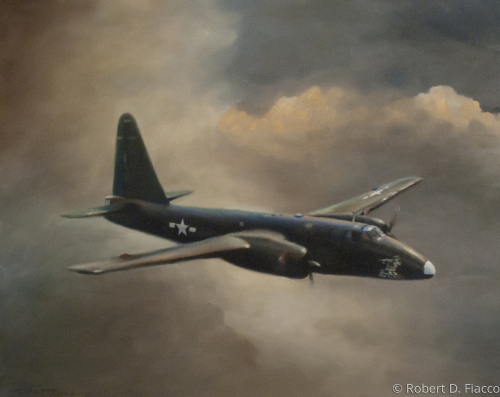 Awarded "best military painting" during the ASAA International Show at the San Diego Air and Space Museum. 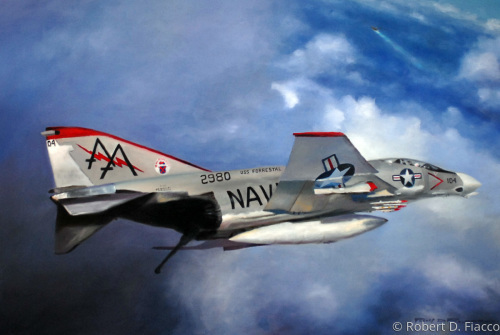 Giclee prints are available - see Giclee reproductions section.